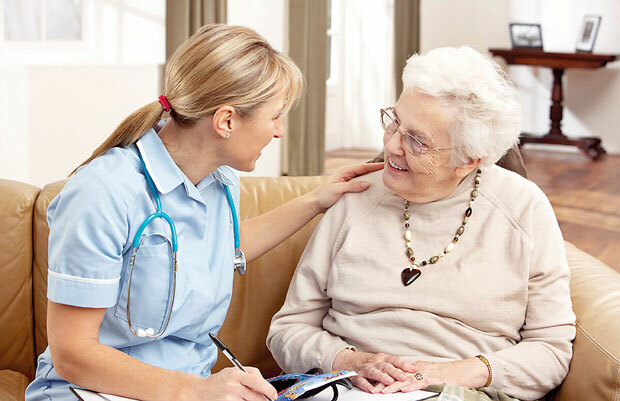 Frequent falls are among the commonest medical complaints made by senior citizens. Not only do falls affect a person’s confidence, it can have serious medical complications ranging from immediate death to fractures causing long term confinement to one’s bed. Falls that have been mentioned here usually aren’t the result of a single factor. They are caused due to a multitude of issues. By getting an idea about these causative factors, we can prevent or at least minimize the risk of falling. 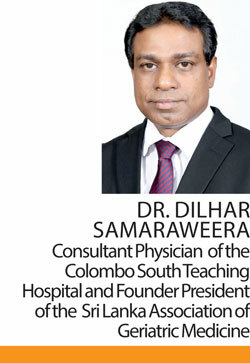 Health Capsule consulted Dr. Dilhar Samaraweera, Consultant Physician of the Colombo South Teaching Hospital and Founder President of the Sri Lanka Association of Geriatric Medicine, to obtain more information on the topic. 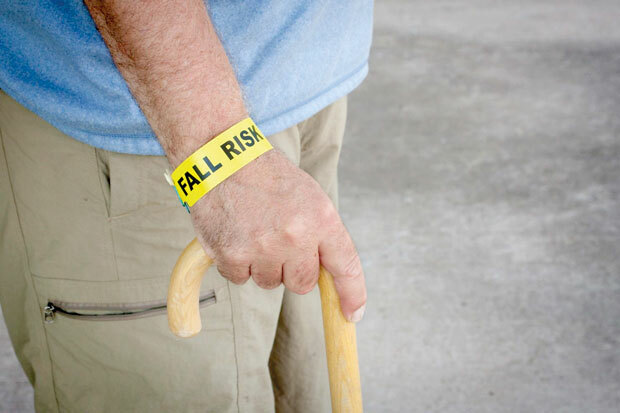 According to the doctor, at least 1/3rd of the population above 65 years of age have experienced at least one fall. This gets commoner with advancing age, with at least 1/2 belonging to the above 80 population experiencing a fall. A significant number of them goes on to experience recurrent falls, meaning more than two falls within a duration of six months. “Falls can affect all three physical, mental and social health of a patient”, said Dr. Samaraweera. A fall can increase a person’s chance of dying by 22% while having the potential to reduce the quality of life significantly. “In fact, more than 90% of hip fractures, one of the most difficult fractures to manage, are estimated to be caused due to falls”, he further stated. Dr. Samaraweera explained that falls are usually multi-factorial, meaning more than one causative factor is behind these falls. These factors can be divided into internal and external factors; internal factors being the change of internal environment of the body and external factors being the issues in outside environment, facilitating falls. The main cause for the increased risk of falling with advanced age is frailty, explained the doctor. Older age brings frailty, which makes them vulnerable to even minor stressors in the environment due to reduced resilience. The muscles become weaker; a condition called sarcopenia. The bones become more fragile due to osteoporosis. Sensations including visual, hearing and touch awareness are reduced, all of which contribute to the risk of falling. The person may be suffering from conditions affecting his vision, may that be cataract, glaucoma or macular degeneration causing reduced vision, or using outdated spectacles. As much as it is difficult to believe, hearing loss also has a place in increased risk of falls. Reduced sound cues that we unconsciously analyze to collect information about the environment as well as reduced attention to other senses like vision due to focusing more on hearing may explain this. A significant portion of the senior population suffers from hearing loss. Even when they are using hearing aids, they can be affected because some may not use it as instructed. In addition, problems in balancing, due to middle ear pathology, may also contribute to falling while staying upright because of the feeling of dizziness it causes, explained the doctor. Reduced sensation of the feet, due to ageing or because of conditions like long term diabetic, can be a cause to falling. In addition, arthritis of the legs, causing deformities in the toes and pain in the knees, flat feet and other problems of the feet and leg are big contributors to falls, according to Dr. Samaraweera. “We all have a sway to our bodies when we walk. This sway is increased when we age. Women naturally have a larger sway compared to men, and with ageing, the risk of falls in women is more when compared to men,” continued the doctor. Forgetfulness is a common occurrence of ageing. This may cause reduced awareness of the surroundings, causing the patients to wander in unsafe places, causing falls, he explained. In addition to these factors, a person who has suffered a stroke recently is likely to experience more falls due to weakness of limbs. Alcohol and urinary incontinence can also increase the risk. The medicine that the person uses may contribute to falls. Especially anti-hypertensives can make the blood pressure drop too low, causing dizziness and falls, said Dr. Samaraweera. Polypharmacy, or prescribing a large number of drugs can especially contribute to falls. “Sometimes doctors prescribe a large number of unnecessary drugs to patients. In addition to the individual side effects of the pills, they may interact and cause other additional problems as well,” he cautioned. In addition to these internal problems factors in the outside environment like furniture, low lightning and slippery floors can also be major contributors in falls. The importance of the external environmental factors counts. They can be modified to suit a person’s needs, minimizing the risk of falls. Consequences of falls can be threefold; affecting physical, mental and social health of a victim. But while the effect of a fall can be devastating, it’s important to keep in mind that failure lies not in falling down, but in not deciding to get up and move on with life after the fall. Let’s talk more on the topic of falls in elderly population, how they affect a person’s life and what we can do to prevent falls in the second part of this article.